The presenter of this workshop is Tabitha Martens. She is the Aboriginal Programming Coordinator for Oak Hammock Marsh Interpretive Centre. The Oak Hammock Marsh Interpretive Centre is an award-winning wetland education centre. Its mission is to foster public awareness and knowledge of the inherent values of wetlands and associated ecosystems, and to encourage public support for their conservation through innovative education and outreach programs. These programs range from birding walks and dipping for water bugs, to canoeing and geocaching adventures. Geocaching is a worldwide outdoor game of hiding and seeking treasure. Containers called caches are hidden throughout cities and natural areas and the locations of these caches are posted on the Internet. Anyone with a GPS unit can enter the locations’ coordinates to find these caches. 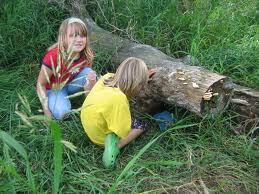 Geocaching is a great way to get outdoors and explore new areas. It is an activity suitable for all age groups, including families with children, students, adults, and retirees. It is a worldwide activity with a strong sense of community and support for the environment. All geocachers are encouraged to be mindful of the environment and practice “Cache in Trash Out.” Since September of 2000, geocaching has grown from 75 caches in several countries to hundreds of thousands of caches all over the world. It is one of the fastest growing recreation activities in the world. This session will involve a short presentation on how geocaching works, as well as an outdoor, hands-on tutorial using the GPS units. Participants will also use GPS units to explore the area and find geocaches. This entry was posted in Blog, Summit 2012, Uncategorized and tagged Aboriginal programming coordinator, geocaching, geocaching with children, kids and nature, nature summit, Oak Hammock Marsh, Tabitha Martens. Bookmark the permalink. One Response to Workshop- Let’s Go Geocaching!